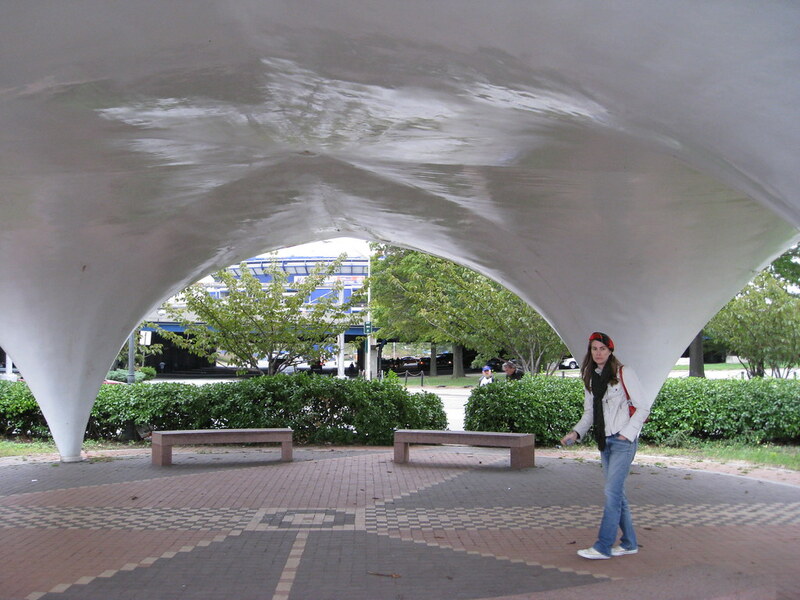 They turned out to be a few hundred yards north of the stadium, not west (an area I'd never explored before, which is why I hadn't been aware of them), but otherwise the two fiberglass structures were very much as advertised. Flanked by a marina on one side and the stadium on the other, they seemed like non-sequiturs: not quite buildings, not quite sculptures, just sitting there apropos of nothing. They were also charming, playful, and really, really cool. We were immediately smitten. We took lots of photos at the site and over the next few weeks we showed them to our friends, many of whom are pretty fluent in New York City history. Almost everyone had the same reaction: "Wow, those are so neat! How come I've never seen them before?" So we decided it would be fun to do some sort of project that told the structures' story and gave them some long-overdue attention. I'm a journalist and Kirsten's an architect, so we thought about collaborating on an article and a little display model that we could show at a gallery. We figured the whole thing would take about a month. That turned out to be our first step down a deep, deep rabbit hole of dead ends, faulty leads, misconceptions, and architectural obsession that has now taken the better part of a year. Much of what we initially learned turned out to be wrong. Much of what we later learned turned out to be useless. Much of what we tried to learn turned out to be unavailable. And most of the places where we thought we'd find lots of information turned out to have none. 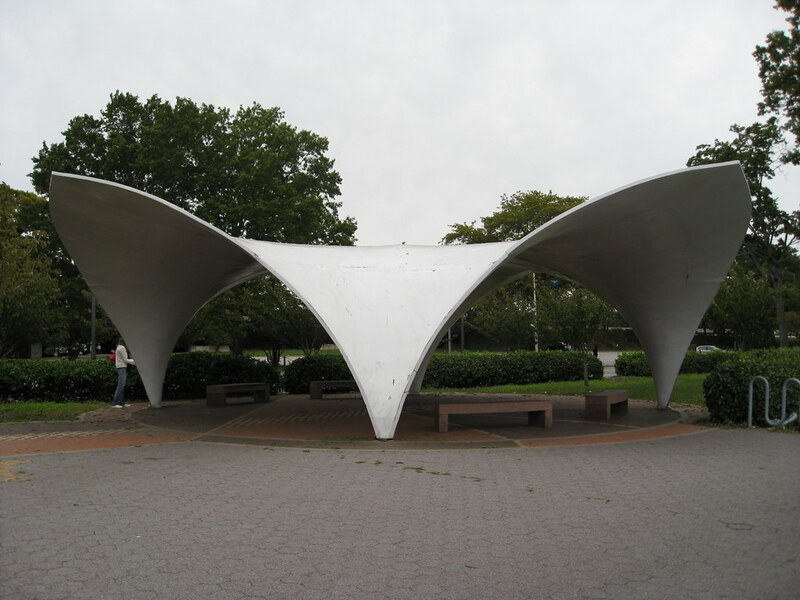 The World's Fair discussion boards are also where we first encountered the name "Candela Structures." 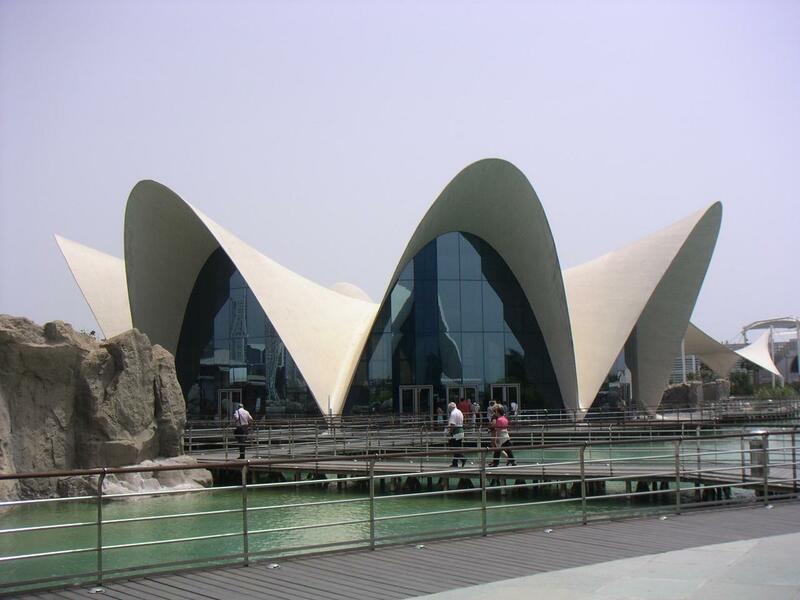 This term meant nothing to me, but Kirsten immediately recognized it as a reference to the Spanish architect Félix Candela, who specialized in thin, curvy shells of reinforced concrete. 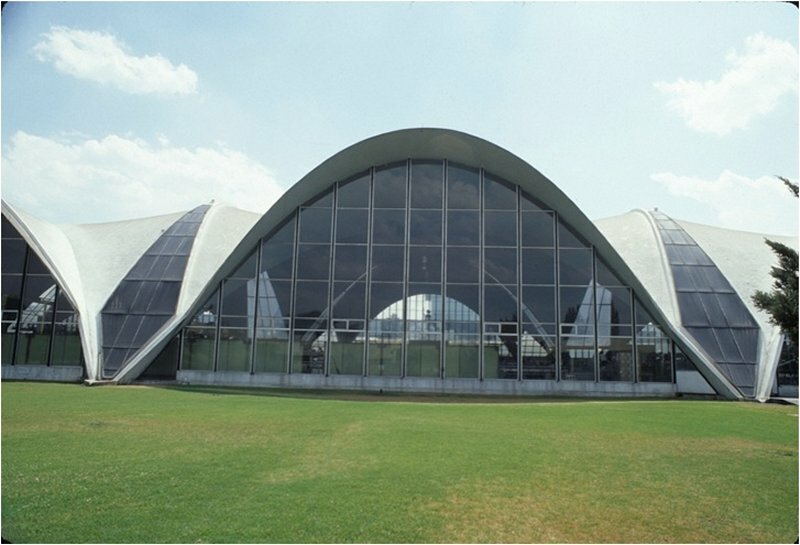 The World's Fair structures were very much in keeping with many of his other designs. "Cool," we thought, "now we know who the architect was." Candela, who died in 1997, is pretty important in architectural circles, and his papers are held at Columbia University right here in New York, so we figured it'd be easy to find original drawings relating to our project. Even better, some new books about Candela were about to be published, and a Candela exhibit was about to open at Princeton. Jackpot! But it didn't work out that way. 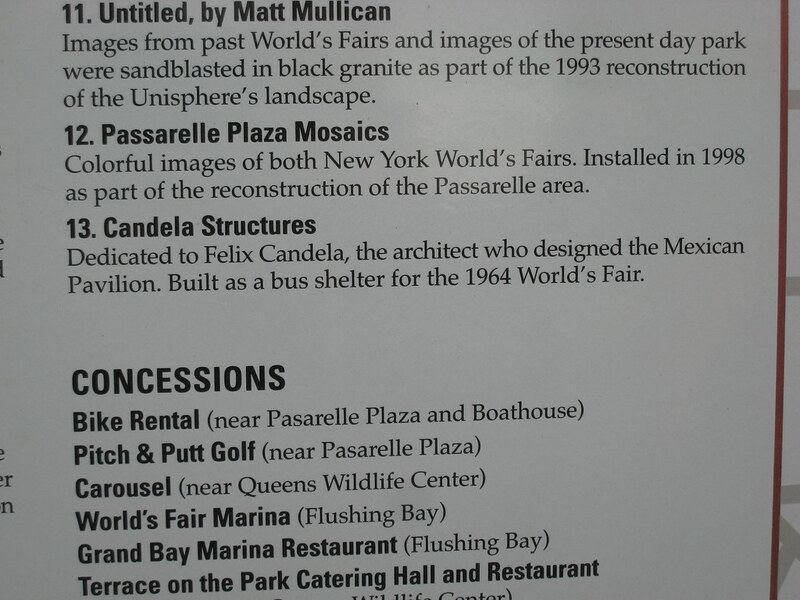 None of the new books about Candela (or older ones, for that matter) mentioned the World's Fair. We got in touch with a few of the authors and some other Candela scholars and showed them photos of the World's Fair structures — nobody was familiar with them. The Princeton exhibit was fascinating but offered nothing relevant to our project. We spent a day poring over Candela's papers at Columbia — again, nothing. Finally, we convinced one of the authors to give us the contact info for Candela's widow, Dorothy Candela, a notable architect in her own right. She clearly wanted to claim these buildings for her late husband ("They definitely look like his, and I don't think anyone could have copied his style so closely"), but the bottom line was that she didn't recall him doing any work for the Fair and couldn't confirm anything. Over the course of our research, we grew increasingly skeptical of Candela's involvement. He has no other buildings in New York City, so the Fair structures would presumably be very familiar to architectural scholars if they were his only New York work. So where did the term "Candela Structures" come from? We don't know. But whoever came up with it has sown more confusion than he could ever have anticipated. 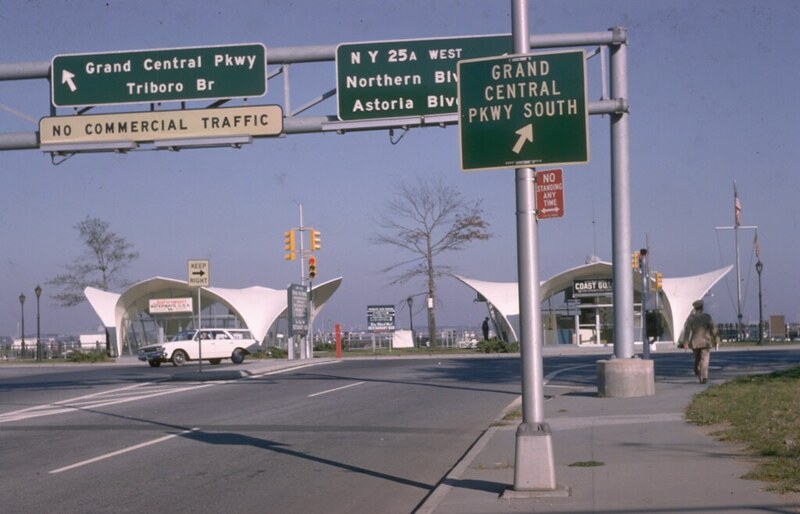 Meanwhile, the community of World's Fair enthusiasts appeared to be large and passionate (read: endearingly geeky), so we posted a few queries on message boards and figured all kinds of useful info would come rolling in. To our surprise, Fair devotees knew relatively little about the Candelas. But many of them had access to this illustration, which showed three structures on the waterfront (instead of the two that are there now) and additional ones on the docks. This seemed like an exciting discovery, until another Fair fan came up with photos that conclusively demonstrated that the structures on the docks had never been built. 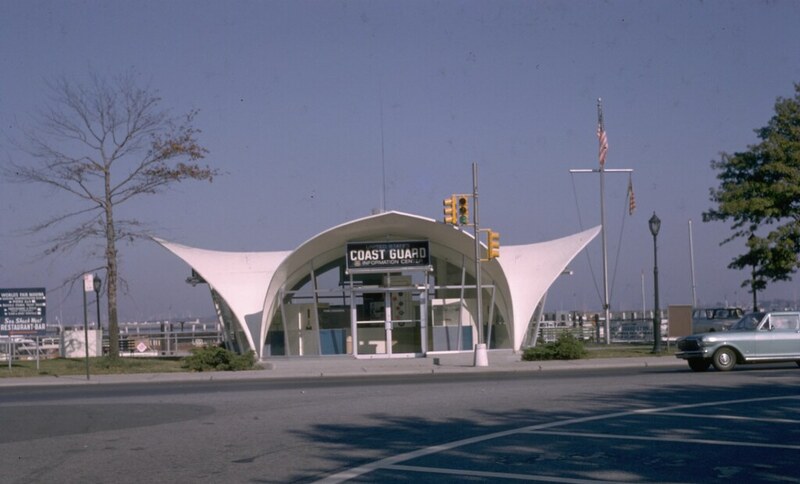 This led us to conclude — mistakenly, as it turned out — that the third structure on the waterfront had never been built either (at the time, the only period photos we had were this one and this one — no sign of a third pavilion). Occasionally someone would tell us, "Oh, there are two structures now, but I hear there used to be another one," and we'd get all smug and say, "Oh yes, ha-ha, that's a common mistake among novices. But the other one was never built, you see." It wasn't until months later that we found photographic evidence of the third structure, which was fairly mind-blowing. Well, at least to us. What happened to the third structure anyway? And why were the other two Candelas left standing after the Fair? And why were their glass walls removed? Surely the Parks Department, which had assumed ownership of the Candelas after the Fair, would know the answers to at least some of these questions. 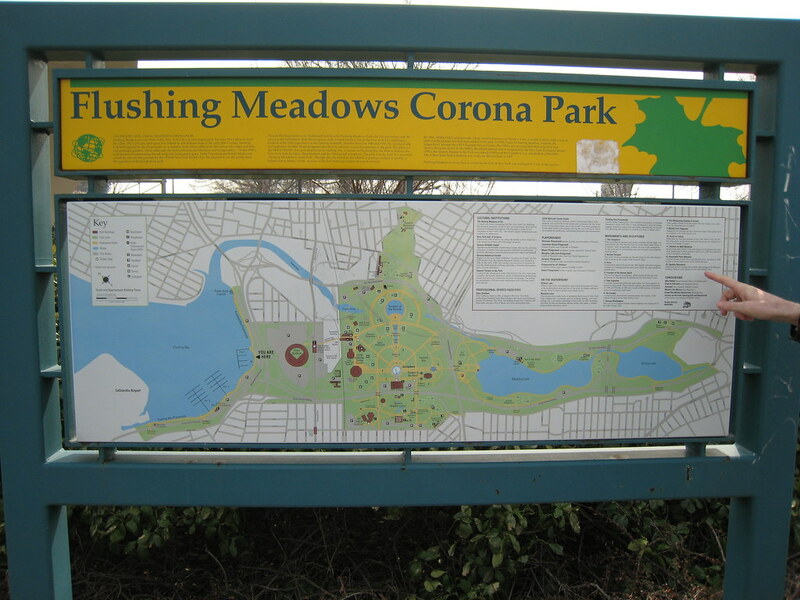 Parks officials were happy to talk to us, but it turned out that they knew very little about their own property (unsurprising, in retrospect, since they're the ones who posted all those incorrect signs in Flushing Meadows Park). Their response to our inquiries more or less boiled down to this: "Actually, we'd like to know more about them ourselves. Let us know what you find out!" They did give us one important nugget, however: The architect of record for the World's Fair Marina was Peter Schladermundt — another strike against Félix Candela's supposed connection to the project. Unfortunately, Schladermundt had died in 1975, and we were never able to locate his papers, so we don't know if he designed the structures, or if he hired Candela as a consultant, or anything else about his level of involvement. Okay, so we'd struck out with the Parks Dept. and the World's Fair community, but no worries. The Fair's archives were held at the New York Public Library, and we were thought they'd provide a mother lode of useful documentation. According to the archives' index, there were even some boxes devoted specifically to the World's Fair Marina — paydirt! So we made an appointment at the library and spent a day rummaging through reams of fascinating paperwork. We learned lots of interesting things (the Marina apparently had a serious rat problem, prompting several outraged Fairgoers to send off handwritten letters of complaint that have been preserved for posterity in the archives), but there was almost nothing regarding the Candelas. Sigh. Undaunted (OK, slightly daunted), we turned our attention to the exhibitors who'd occupied the structures during the Fair — maybe they had kept some records. Unfortunately, we discovered that Johnson Motors and Evinrude Motors, which had occupied two of the pavilions (although at this point we mistakenly thought they'd shared one pavilion, because we didn't yet realize that a third structure had existed), had been bought, sold, gone bankrupt, and been acquired by a completely different corporation in the days since the Fair. Unsurprisingly, no records from the 1960s had been kept. That left us with the Coast Guard. When I called their press office and explained what we were looking for, a spokesman essentially said, "Really? We had a pavilion at the 1964 Fair?" So I showed him this photo, to which he replied, "How about that — I guess we were there!" He eventually turned out to be very friendly and enthusiastic, and he put us in touch with another researcher who was similarly eager to help us. Unfortunately, very little came of any of it. At this point we were starting to get frustrated. Actually, I was ready to scrap the entire project ("There's no there there," I kept saying), but Kirsten argued that the story of our research — basically the story I'm telling you right here — was worth telling, even if we weren't finding all the answers we'd been seeking. At one point I was telling a friend about all this. "Kirsten wants us to keep going," I said. "But it's crazy, there's nothing out there — we looked here, we looked there, these people don't know anything, those people don't know anything. It's unbelievable how these fiberglass things have just dropped off of everyone's radar!" As I was saying all this, I realized Kirsten was right — it was a good story. So we kept at it. 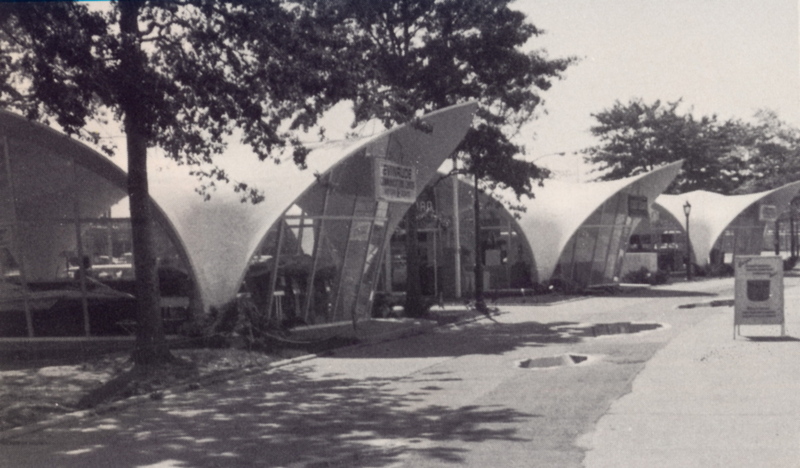 Good thing, too, because it was around this time that we finally contacted Owens Corning, which had been retained by the World's Fair to provide fiberglass for many of the Fair's buildings (apparently Robert Moses thought fiberglass would provide a suitably "futuristic" atmosphere for the proceedings). Owens Corning publicist Eileen Boyce and company historian Bill Hamilton patiently dealt with all our questions, came up with old photos and documents we'd never seen before, and helped add several important pieces to the puzzle. 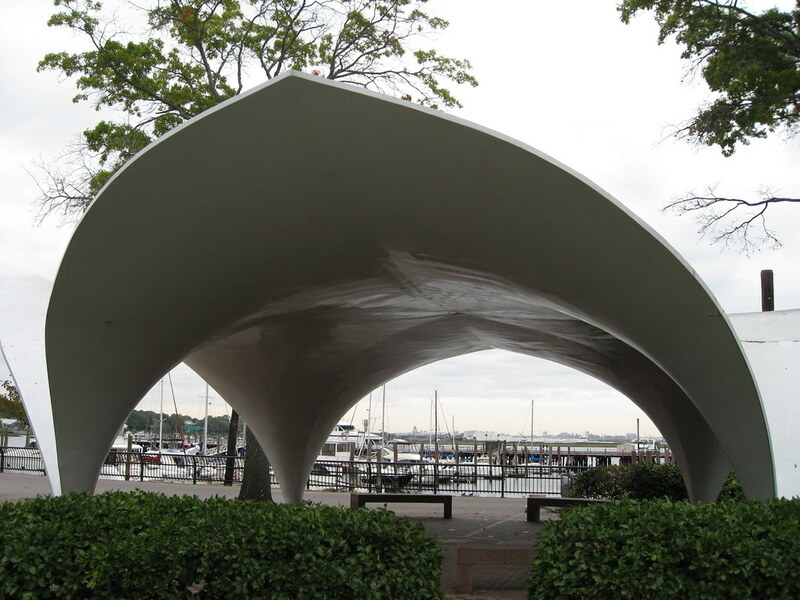 Incredibly, they also tracked down and put us in touch with several retired Owens Corning engineers who'd worked on the original Marina project. In many ways, Eileen and Bill are the heroes of this whole enterprise. We later came across a few World's Fair collectors who shared some additional photos and materials with us. We weren't able to fill in all the blanks, but we got a lot of them. And then, less than 48 hours before the the exhibit was set to open — and after we'd installed most of it — fate threw us a big curveball: Susan Dominus, a New York Times reporter who was writing a story about our exhibit, thought to do something we'd overlooked: She found Peter Schladermundt's children. One of them, Joan Osgood, confirmed that he had been the structures' designer. This was great news (we had always hoped the exhibit would lead to the emergence of new material, although we didn't expect it to happen before the exhibit even opened), although it forced us into a semi-panicked state as we scrambled to incorporate this new material into the show. 1) The Candelas (or whatever we're going to call them now that we know Félix Candela had nothing to do with them) are just old enough to have fallen into that sweet spot — or maybe the sour spot — where most of the people directly involved in their story are now dead, but they're not old enough to have been canonized, so nobody else has done the heavy-lifting research for us. Indeed, one thing this project has taught me is that I've become very spoiled on having access to primary research that other people have done before me. This time, I'm the one doing that research. It's a lot of work! 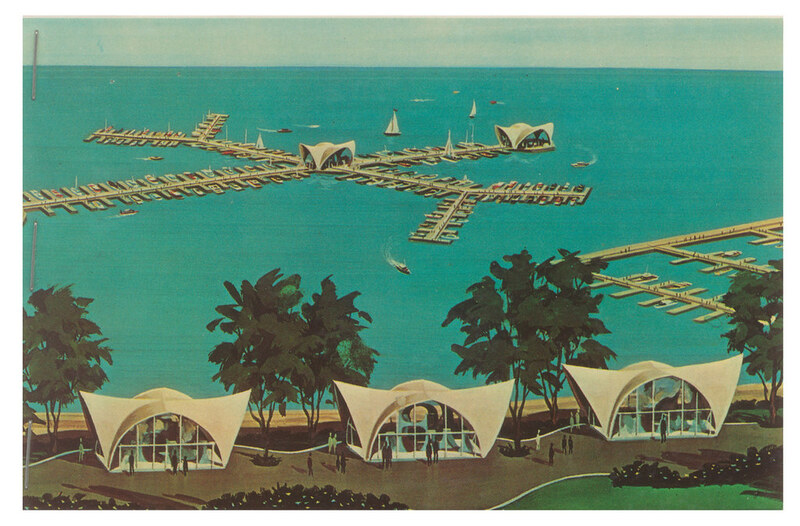 2) The Candelas were part of the World's Fair Marina, which was sort of the unloved stepchild of the Fair. Located a mile away from the main Fair, the Marina wasn't even shown on some Fair maps and was largely treated as an afterthought. (Judging by the NYPL archives, it was also even more mismanaged than the rest of the Fair was.) Forty-five years later, most New Yorkers know about the Unisphere and the New York State pavilion and other famous remnants from the Fair, but few people realize that the Fair even had a Marina component. All of this has worked against the Candelas in terms of historical documentation. The world is always more interested in the Oreo than the Hydrox. 3) Nobody ever thought the Candelas were particularly important (in fact, I'm fairly certain nobody has ever cared about them as much as Kirsten and I do right now, although hopefully this project will help change that). They were much smaller and less gaudy than the grandiose pavilions that comprised much of the rest of the Fair. Most of the Owens Corning retirees we spoke to told us something along the lines of, "Yeah, I remember those little things at the Marina. Hey, did I mention that I worked on the AT&T pavilion? Now that was a project." Fair enough. But the AT&T pavilion is gone, along with most of the other Fair buildings, while the Candelas remain. And they have more going for them than just longevity. They were modest by Fair standards, but today they stand out as small classics of mid-century modernism. We love their simple grace, their effortless sense of good cheer, and the way their strict geometry is counterbalanced by their playful swoops and curves. In any case, if the structures' lack of historical documentation is somewhat understandable, their pitifully low profile among New Yorkers is not. The Candelas are a treasure that's been hiding in plain sight for nearly half a century, yet they've been completely overlooked by the media, by scholars, and by all those know-it-all New Yorkers who pride themselves on being familiar with the city's nooks and crannies (a group in which we readily include ourselves). Our hope is that this project will help give the Candelas the attention they've always deserved. And with a bit of luck, maybe someone will come forward and help us connect the final dots of their story.